The Montessori classroom is the child’s world, geared to the size, pace and interests of children between the ages of three and six. It is designed to put the child at ease, giving him freedom in an environment prepared with attractive materials. These materials are arranged on low shelves, thus they can be reached even for the smallest child. 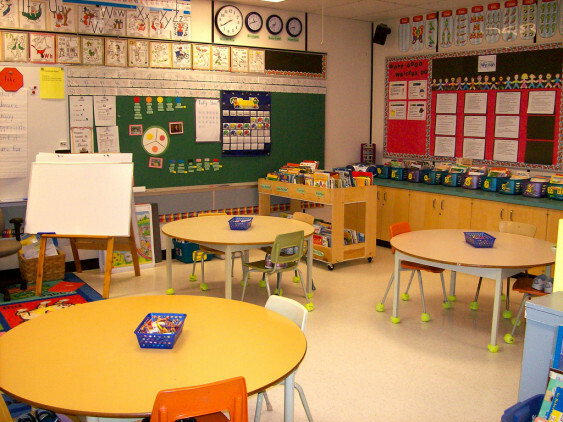 The tables and chairs in the classroom are movable, allowing a flexible arrangement for many activities. Children also work in small carpets on the floor where they are naturally comfortable. The Montessori classroom materials can be divided into three main groups: Practical Life exercises, which are the first activities for children aged between three and four; Sensory materials that can be used by all ages in the class; and Academic materials waiting to be used at the time the child shows any interest in reading, arithmetic and geography.